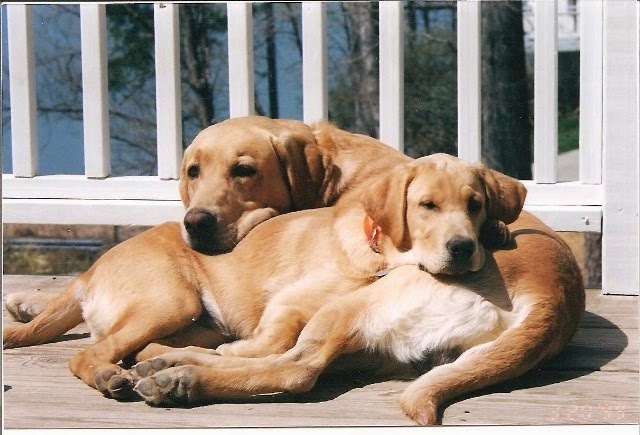 I had just lost my lab in August 08 when I began searching for quality breeders. 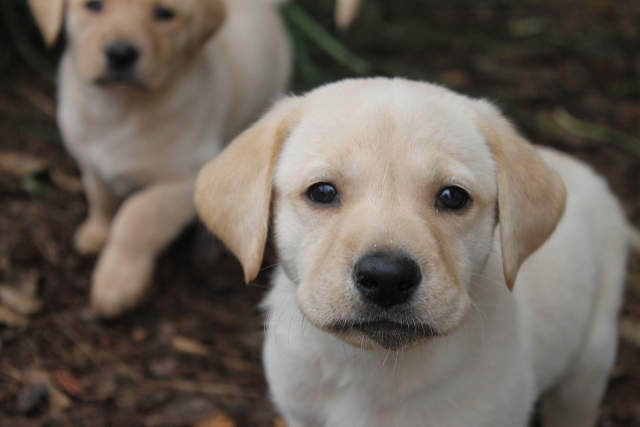 Hat Creek stood out among many because it was clear that these pups were kept in a clean and loving environment. And it was just a feel good website. So we took a ride to Perry and had a look-see at seventeen adorable, happy, well cared for and socialized cuties. It was immediately obvious that Jean O'Connor LOVED her animals and knew what she was doing in order to make them the best dogs they could be. We picked up our new bundle of love in September and he is now at almost 6 months old and just the best dog we ever had with the BEST disposition! Our vet was very impressed with him and amazed at his calm demeanor. He's really filled the hole in my heart left by losing my beautiful agility dog Groucho. So here's the deal.....My pup is a most beautiful, playful, extremely SMART and a very affectionate shadow who is totally focused on his Mom and Dad. You could not go wrong picking one of Hat Creek's puppies, for even though I don't know Jean well, I DO know first hand that she is a top-flight lab breeder who gives first class care and lots of love in handling her beautiful labs, both adult and young ones. I will always recommend Hat Creek Farms to anyone without reservation. footnote: our eighteen month old male has won three Rally obedience titles and is now doing agility trials. He is smarter than Einstein and more loveable than any dog I've ever owned. Just a great companion!